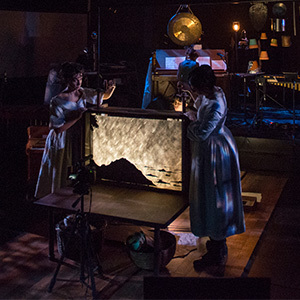 In a special world premiere presentation, internationally-renowned multimedia company Manual Cinema stitches together the classic story of Frankenstein with Mary Shelley’s own biography to create an unexpected story about the beauty and horror of creation. 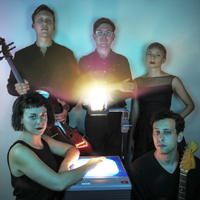 Manual Cinema combines handmade shadow puppetry, cinematic techniques, and innovative sound and music to create immersive visual stories for stage and screen. Approximate running time: Act One 53 minutes, 15-minute intermission, Act Two 43 minutes. Photo: Julia Miller and Sarah Fornace of Manual Cinema (Joe Mazza). 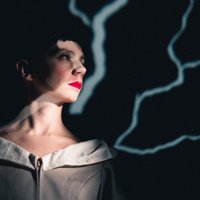 To learn more about Manual Cinema’s unique approach to creating theatre, we interviewed Sarah Fornace, Co-Artistic Director of the performance collective and performer in Frankenstein. She shares her thoughts on theatrical adaptation, the legacy of Mary Shelley’s work, and Manual Cinema’s “live cinema” aesthetic. 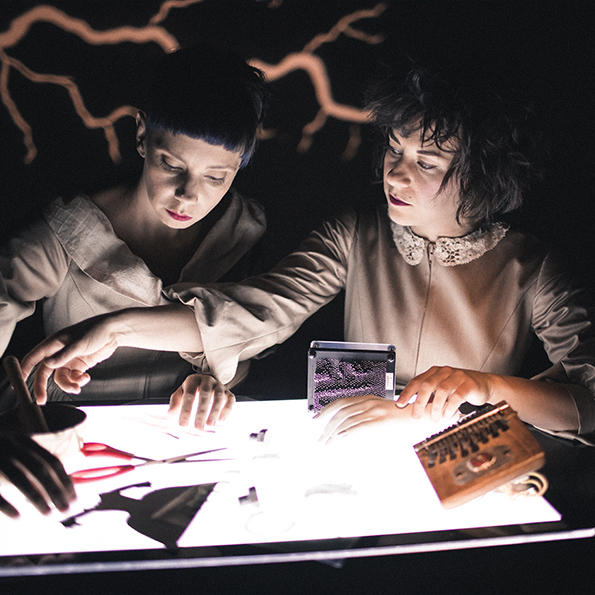 We spoke with Manual Cinema about their innovative, interdisciplinary creative process and how it adds new possibilities to a classic story. Press throughout Chicago are praising Manual Cinema's Frankenstein, with many critics Highly Recommending the production. See why they think you shouldn't miss this show.